Being an entrepreneur is tiresome, often unthanked, and can distract people from paying attention to how much they sleep, what they eat, and how often they exercise. Luckily the tech world also knows this, and has has created continuous demand for innovative new solutions to keep office workers moving. From standing desks to temporarily transporting you to different worlds (VR), these are some of the latest gadgets to keep entrepreneurs happy and healthy. 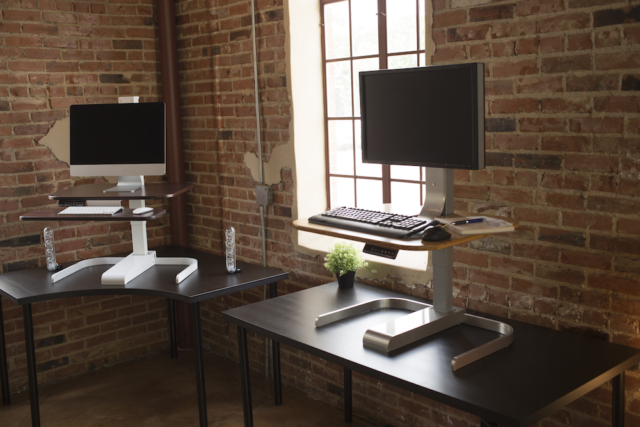 Cubii: Don’t want to waste your time with a crazy, immovable treadmill desk or stationary bike hybrid? The Cubii is a smart elliptical that goes right under your desk. Keep pedaling! FitDesk 2.0: Are you an avid cyclist, but don’t want to trade your pedals for a thinly carpeted floor? The FitDesk is specifically designed to turn your desk into a stationary bike. This is a bit more on the expensive side, as there are now easily mobile pedals that you can throw under your desk. FluidStance: If you want to up the ante and add MOVEMENT to your workday, the FluidStance Level is a designed balance board to use with your standing desk – it elevates your heart rate and keeps you moving even when you’re tied down with responsibilities. It provides a subtle instability underfoot – creating a range of motion similar to walking – and increases your heart rate 15% over sitting alone. Plus – it’s FUN – and the mind/body connection that kicks in once you start using it actually helps you concentrate and multitask. HTC Vive: Want to take a brain vacation while in the office? VR is one possible option. Though there are a few headsets out there, HTC and Oculus have some of the best content being made available. From games to get you moving to exploring new worlds, the HTC Vive will take you from spreadsheet to island paradise. LifeSpan TR1200-DT5 Treadmill Desk: Part standing desk and part treadmill, the LifeSpan TR1200-DT5 will keep you moving while you set out to squash bugs hidden amongst your code. Pryme Vessyl: Pryme Vessyl is a new cup that uses a proprietary algorithm to determine and track individual hydration needs throughout the day, to ensure you’re always mentally sharp and physically strong. Pryme takes in the volume of water consumed along with personal information like height, weight, and gender that users can easily input in the companion app. Pryme also syncs with FitBit, Jawbone Up and Apple Health to automatically gather physical activity data. QCY QY19 Bluetooth V4.1 Sport Earbuds: Don’t skip your lunch break, but perhaps split some of it into time for running. These bluetooth earbuds are lightweight, sweat resistant, and generally sound good. Mio Fuse: For those who really want to track their fitness and heart rate, the Mio Fuse is among the sportiest. Though it may not blend in with your suit, its built in heart rate tracker doesn’t care how fast you’re moving. Xiaomi Mi Band 2: Pedometers and fitness bands come in a lot of different formats and costs, but the Xiaomi Mi Band 2 stands apart from most. 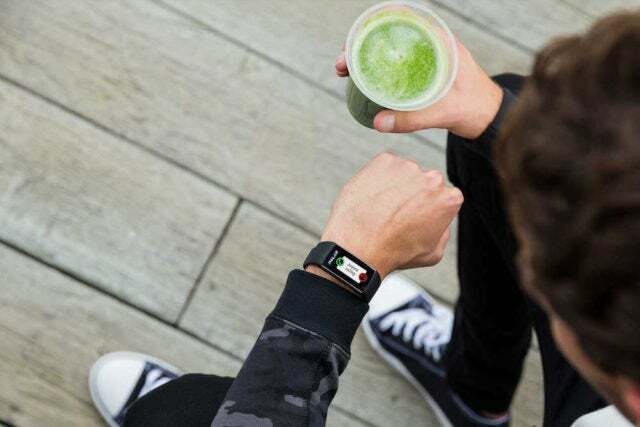 It’s incredibly affordable, has replaceable bands, allows you to track your heart-rate when not moving, and also sends you alerts when you get new messages, emails, or social media notifications. Zenytime: A connected device and corresponding app, is the first solution for individuals to check the actual impact of stress on their brains and bodies in real-time. It also coaches users through interactive breathing games to support lasting stress management habits. By developing breathing skills with Zenytime’s “Puck” and corresponding app, breathing becomes a universal, accessible and tangible self-improvement solution. Foobot: Your office air quality matters. Foobot monitors your air quality in real time, explains what pollutants it’s seeing, notifies you when there’s a problem and offers tips for fixing it. So someone cleaning out their house or office will be warned if their cleaning sprays are not being vented well, if they’ve kicked up too much dust, etc. And they can also see historically the positive difference it made after they threw out that old couch. It also connects to BreezoMeter, which monitors outdoor pollution and can tell you when the best day is to open all the windows to clean. Critical Cycle’s Harper: Forget the car, commuting is better on two wheels. Available in six colors, The Harper sports a hand-built, high-tensile strength steel frame (that comes with a lifetime warranty against defect), and all brand name components. Shipping is free on orders over $65, and there’s a 50-day return policy (just in case!). The coolest part is that the bike arrives at your door 95% assembled and takes about 15 minutes from box to bike. Ten Toes Weekender Paddle Board: For those of us in beach cities – theWEEKENDER is Ten Toes’ anytime-any-place inflatable standup paddle board for the casual thrill-seeker. Its 10’ length and rounded hull make paddle boarding easy on calm water as well as in surf for people of all skill levels. The size and shape of theWEEKENDER make this board more stable and easier to balance on, which means it’s an especially good choice for yoga. The sturdy handle in the middle of the front of the board makes carrying it around easy and doesn’t get in the way when you’re paddling on water. Fitbit Alta: Fashion meet fitness. The new Fitbit Alta features the same power of the crowd favorite Charge with a dash of fashion forward appeal. With swappable bands to fit in with your wardrobe, the Alta does well both in the office and on the track. Google has just unveiled a brand new gaming platform. Will it compete in the industry or is Google too late to make a serious impact? Take a look at all the specifics of the announcement to decide for yourself. It's only been the traditional seven days long, and yet this week has managed to pack a heck of a tech news in. We look at the stories that have caught our eye this week. Elliot is an award winning journalist deeply ingrained in the startup world and is often digging into emerging technology and data. When not writing, he's likely either running or training for a triathlon. You can contact him by email at elliot(@)elliotvolkman.com or follow him on Twitter @thejournalizer.